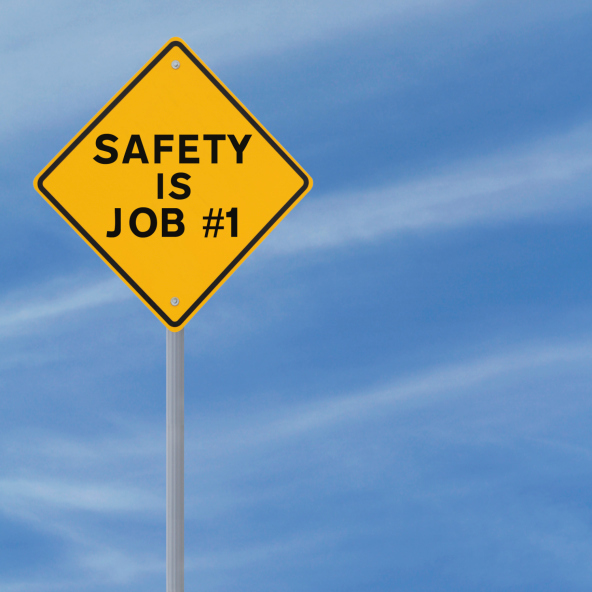 Make sure that you are putting safety first when working on a construction site. Being a construction worker requires a lot of skill and competence. It’s a tough job and not always safe. A construction worker who is not fully alert or who is not performing their job in a certain way runs the risk of anything from stress and strain injuries to fatalities. This is why being a construction worker is such a valuable position; construction workers risk their health to build necessary infrastructure. However, with the proper precautions, construction workers can decrease their risk of an injury and reinforce their safety on site. Read our safety tips to make sure that you are maintaining your good health while on the construction site! Improper lifting techniques are the number one culprit for creating uncomfortable back pain. To make sure that you’re lifting properly, make sure that you’re lifting with your knees slightly bent and your back straight. Try not to twist while lifting, as this strain can cause a pulled muscle in the back. You can also maintain better balance by positioning one foot in front of another while lifting. Your arms and wrists should be in neutral positions whenever you’re not working. This will avoid strain, stress, and the development of carpal tunnel syndrome. If you find your grip slipping on your tools or you have sore hands or wrists after using a power tool, then it may be a good idea to invest in some ergonomic tools. Using poorly designed tools can put a strain on your hands and wrists that can even result in such conditions as carpal tunnel syndrome, tendonitis, white finger, and trigger finger. Even power tools that produce a lot of vibration or noise can be damaging to your health. Make sure that the tools you use are easy to hold and don’t leave your muscles sore or your ears ringing. Of course, if the noise from the tool you are using is unavoidable, make sure that you have a good pair of noise-reducing earplugs or headphones. Finally, make sure that you are using tools that are specifically constructed for your dominant hand. So, if you’re left-handed, you may need to take special care to procure left-handed tools that will give you a better grip, keep you safe, and keep your joints from developing a repetitive stress injury. Reliable is dedicated to delivering quality products, displaying professionalism within the firm, seeking new opportunities for expansion and profitability, and providing an environment for individual success. If you have a commercial or residential construction project you need taken care of, please contact Anne Arundel County’s largest site-work contractor today by calling 410-987-0313 or visiting our website. You can also follow Reliable Contracting on Facebook, Google+, LinkedIn, Pinterest, and Twitter! This entry was posted on Friday, January 1st, 2016	at 9:16 pm	and is filed under blog, Health information, Safety Tips	. You can follow any responses to this entry through the RSS 2.0	feed. Both comments and pings are currently closed.